By Miranda Marquit 4 Comments - The content of this website often contains affiliate links and I may be compensated if you buy through those links (at no cost to you!). Learn more about how we make money. Last edited June 11, 2014 . Now that many universities have bid farewell to the class of 2014, it's time to get started in the “real world.” For many college grads, this marks the first time that they are out on their own, making their own financial decisions. The first thing to do is to manage your money so that you are living within your means. It's important to look at your income, and make sure that your expenses are less than what you have coming in. Living within your means is the number one rule of successful personal finances. Put together a spending plan or a budget. Also, be willing to cut out expenses that threaten to put you in debt. If you want to increase your chances of success, you need to be able to stay out of debt. Many college grads think that they can't start saving money until they make more money. However, this isn't true. Make it a point to save a portion of each paycheck. If you have access to an employer-sponsored retirement account, put some of your money aside in that account. Most employers will take the money automatically from your paycheck so that you never see it — and never plan on it. If your employer doesn't have a plan, start your own easy investing plan with a Roth IRA! Even if you can't set aside a lot right now, the key is to get started so that you can set aside something and start gaining benefits related to compound interest. Over time, as your income increases, you can begin setting aside a greater portion of your income. Now, before you make mistakes, is the time to start managing your credit. First of all, realize that your credit can affect what you pay in insurance premiums, whether or not you can buy a house, and a number of other financial situations. As a result, it makes sense to manage your credit wisely. Make it a point to pay off credit cards immediately (only use them for planned purchases within your budget), and make all your payments on time and in full. If you are careful to keep your consumer debt levels low, and make your payments on time, you should be on your way to a good credit score. If you want help with your career, understanding how to network is important. This includes online networking and offline networking. Keep up with your fellow grads, as well as with professors and mentors that you have had. Make sure your online profile is cleaned up and professional, and start making contacts online. Sometimes, who you know is the most important part of your career. I'm surprised at how many college grads don't know how to do something basic, like laundry or cooking pasta. My son can cook simple things for himself, but this seems to be something that many people between the ages of 19 and 23 can't do. It's all about processed microwave meals. Instead, learn to cook, and you'll save money and eat healthier. Other life skills, like properly doing laundry, cleaning, yardwork, gardening, and more can save you money in the long run. 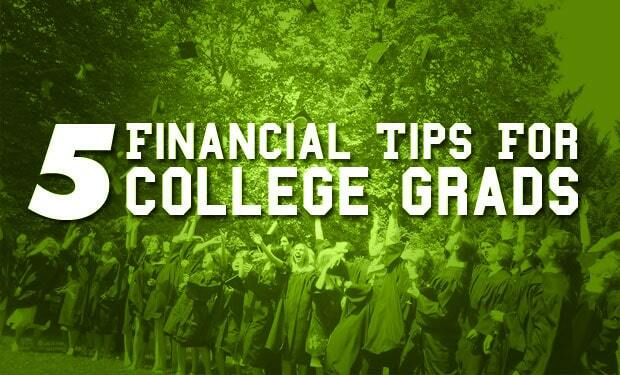 Have your own tips for recent college graduates? Tell us what they are in the comments! Last Edited: 11th June 2014 The content of biblemoneymatters.com is for general information purposes only and does not constitute professional advice. Visitors to biblemoneymatters.com should not act upon the content or information without first seeking appropriate professional advice. In accordance with the latest FTC guidelines, we declare that we have a financial relationship with every company mentioned on this site. These are all great tips Peter and could not agree more on the beginning to save point. I know I let that hold me back, but the point is to begin to develop that discipline. The one I’d add goes along with #1 and avoiding crazy lifestyle inflation. It can be easy to fall into, especially if you get a relatively nice paying job, so do something like set a specific amount of money aside so you can spend that on whatever you want so as to help keep the lifestyle inflation in check. You make a good point about lifestyle inflation. 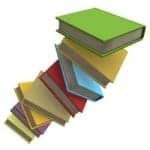 Thomas Stanley, author of Millionaire Next Door found out that along with advanced degrees and more education, that students also often developed a love for the finer things in life – causing them to engage in high consumption behavior. Something to be aware of. Great List, I love #5, which is often overlooked. Learned those skills, plus some basic electrical, plumbing, general home maintenance skills are also important. I would add Learning to Plan into this list. Plans can change over time, but having written down goals with action steps to achieve them in is a skill I see many young adults don’t develop. Wonderful and useful tips. I would also include if you do not know how to do these things, do not be afraid to ask. Life’s journey is about asking questions and finding the solution/plan that works best for you. Previous Post: Should You Do A Balance Transfer?